Blake Griffin, Iggy Azalea & Tyga Step Out for 50K Charity Challenge Celebrity Basketball Game! Tyga and Iggy Azalea strike a pose together backstage while attending the 50K Charity Challenge Celebrity Basketball Game held at UCLA’s Pauley Pavilion on Tuesday (July 17) in Westwood, Calif. 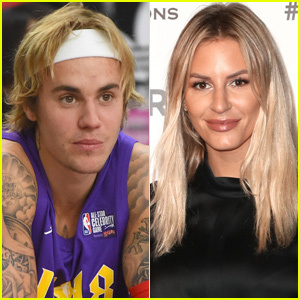 The 28-year-old rapper and Iggy, also 28, were joined at the event by Blake Griffin and Maria Menounos, as well as players Floyd Mayweather, Colton Underwood, Nick Viall, Kendra Wilkinson, Terrell Owens, Lindsay Arnold, Rashad Jennings, Rampage Jackson, Omarion and more. Iggy and Tyga performed their new collaboration “Kream” as part of the halftime show. Presented by the Monster Energy Outbreak Tour and Live Nation, this special event raised money and awareness for multiple charities in addition to the host beneficiary, Roger Daltrey and Pete Townshend’s WHO Cares initiative Teen Cancer America. Nicki Minaj & Meek Mill Couple Up At Power 105.1's Powerhouse 2015! Nicki Minaj flashes a big smile alongside her boyfriend Meek Mill backstage at Power 105.1′s 2015 Powerhouse Concert held at the Barclays Center on Thursday (October 22) in Brooklyn, New York. 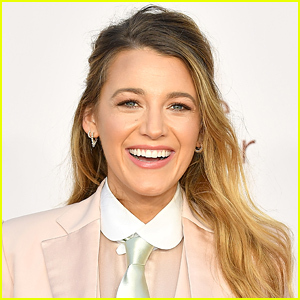 The 32-year-old rapper and Meek, 28, were joined at the event by their fellow performers Big Sean, Rick Ross, Omarion and “Classic Man” hit-maker Jidenna. Earlier in the week, Nicki looked so fierce while performing on stage with Beyonce at the Tidal X: 1020 Amplified by HTC concert. 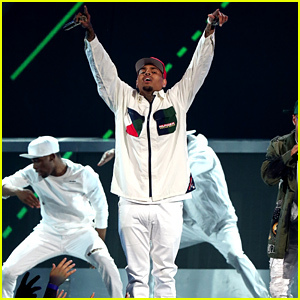 Chris Brown & Tyga's BET Awards 2015 Performance Video - Watch Now! Chris Brown and Tyga take the stage with Omarion to perform at the 2015 BET Awards on Sunday (June 28) at the Microsoft Theater in Los Angeles. Meanwhile, you can still catch the remaining two hours of the 2015 BET Awards – they’re airing right now on the BET network! R&B singers Chris Brown and Omarion get sprayed with silly string by the Orlando Magic mascot during Game Three of the 2009 NBA Finals where the Los Angeles Lakers lost to the Orlando Magic 108-104 on Tuesday (June 9) in Orlando, Fla.
Chris, 20, has employed increased security due to recent death threats that authorities believe to be serious. According to the Chicago Sun-Times, a ‘group’ calling themselves the Women’s Protection Action League have been issuing threats on his life due to the singer’s charges for beating Rihanna on Grammy Awards weekend. Chris has been charged with felony assault in the altercation with Rihanna and is due back in court on June 22.